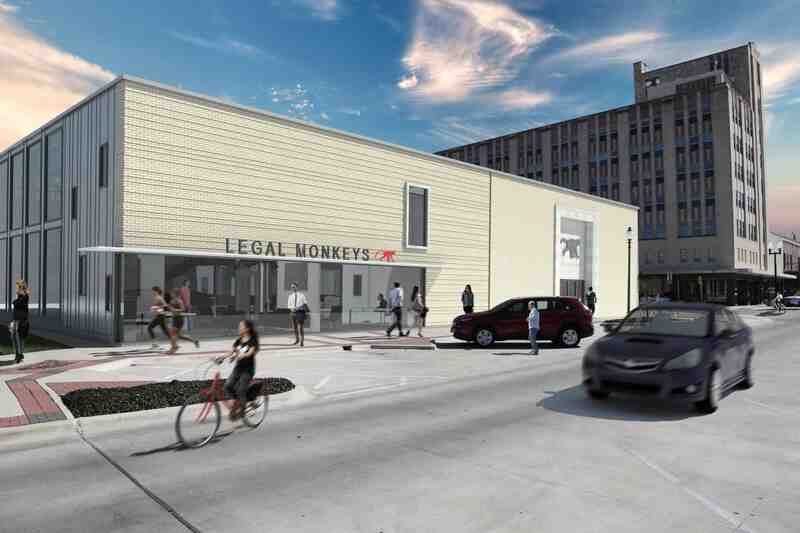 Legal Monkeys, a medical records collection firm for law offices, bought a city block in downtown Bryan Texas. The project includes the repurposing of a 1950’s bank building and addition. The new addition complements the existing mid-century minimalist modern building using a matching brick, but differentiates itself as an addition with a textured surface as the sun creates shadows along the recessed brick coursing. Administrative offices are the focal point serving as the display windows along the streetscape. Large new North facing windows will bathe the space in a balanced natural light along with the existing South facing windows. Comfortable, healthy work environments equal more productive and healthy workers. The addition will be the first new building construction in downtown Bryan in decades.